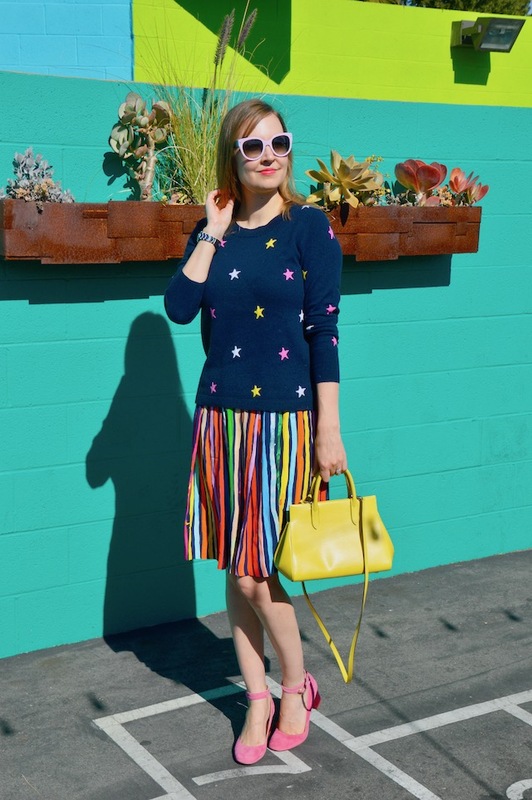 This very colorful look was inspired by an outfit that I found on Oh Joy's blog. 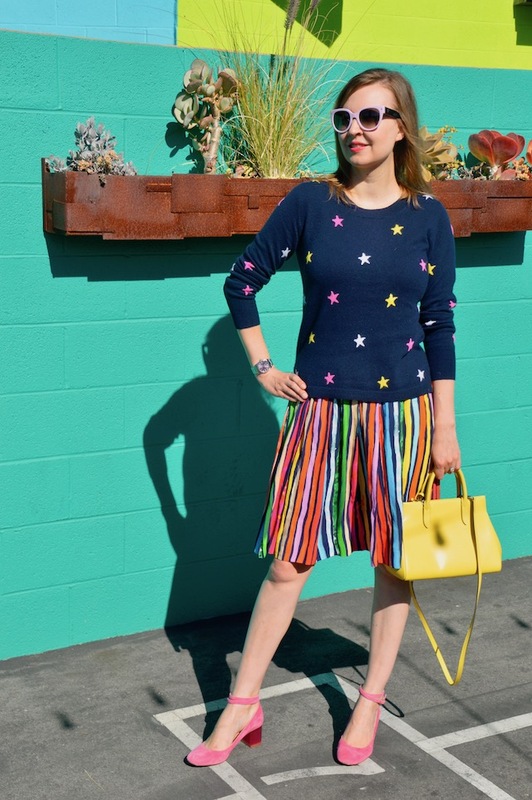 In fact, I purchased this skirt from Australian designer Gorman solely because I absolutely fell in love with it after seeing it on the aforementioned blog! 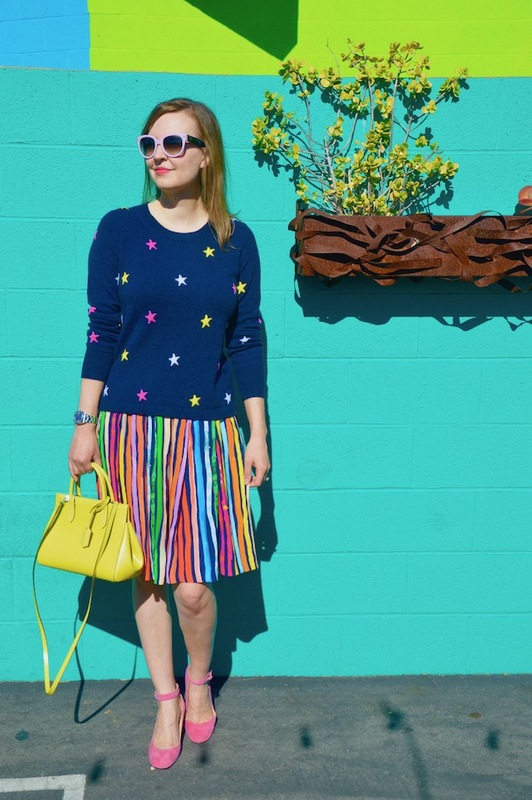 Since I loved the skirt paired with a colorful star sweater, just like what I saw on Joy's blog, I had to track one down! Luckily for me, stars seemed to be everywhere this winter as a trend. This cashmere star sweater was my favorite of all of the options but it was definitely a hard choice. 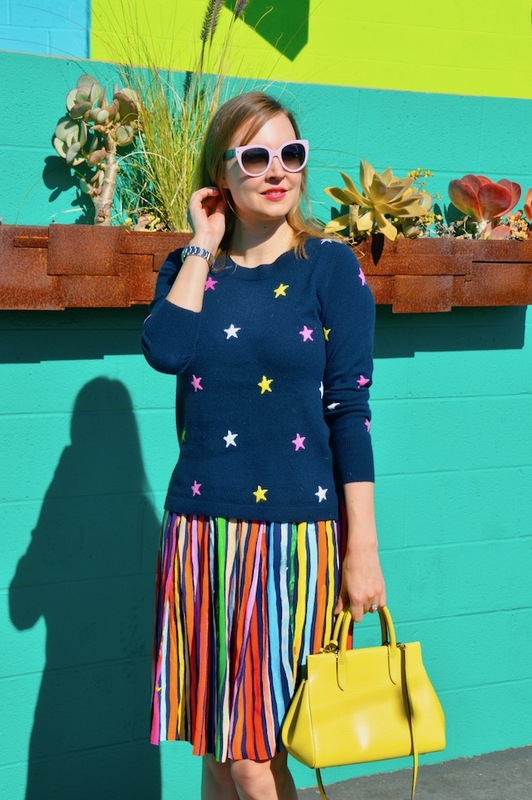 Below, I have linked to some of my favorite star sweaters that are also very tempting! 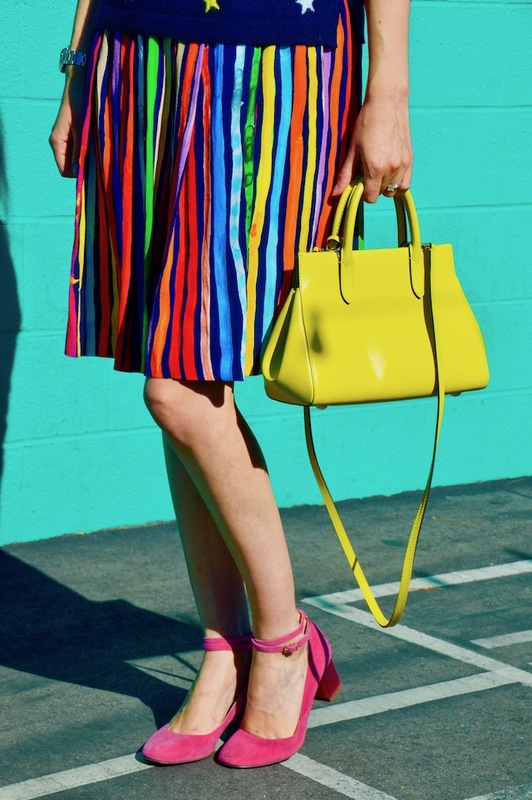 A colorful look like this one really needs equally colorful accessories, thus I've utilized the pink suede shoes and the neon yellow/green bag. The look also calls for a colorful background like this turquoise wall that can be found at The Lab "Anti-Mall" in Costa Mesa. Every time I visit this location, I'm always perplexed by the name that suggests it's an "Anti-Mall"because, like every other mall, it has stores and restaurants that will take your money in exchange for goods, food and services. 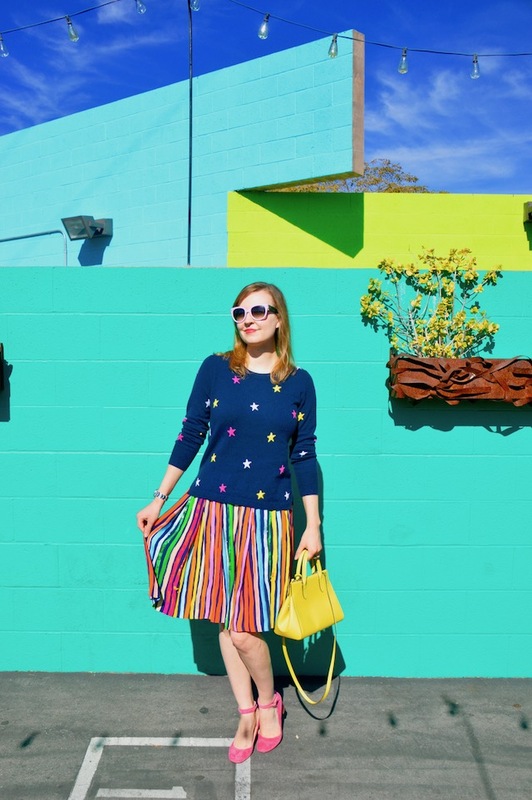 Regardless, it's a blogger's paradise with lots of quirky, colorful backdrops for photos like these, so I really can't complain! Ah your striped skirt is so fun! I can imagine it could be styled so many ways! I love the skirt. It looks good on you!